Duncan Harley held a special launch event for ‘The Little History of Aberdeenshire’ at Inverurie Whisky Shop on Saturday, April 13. Duncan’s new book ‘The Little History of Aberdeenshire’ is now available to purchase in hardback format by the History Press priced at £12. It is also available from Amazon. Signed copies of the book are also available from Inverurie Whisky Shop. 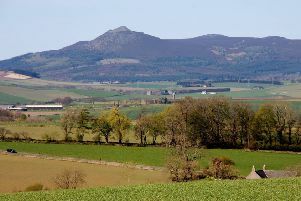 The book takes readers on a grand tour through Aberdeenshire’s fascinating and rich history. It culminates in a collection of stories and facts that will make readers marvel at the events that the county has witnessed. Duncan’s latest release follows on from the success of his previous book, ‘The A-Z of Curious Aberdeenshire’ which was published back in November 2017. The book was well received at the time and it also gained multiple positive reviews in publications across the region.